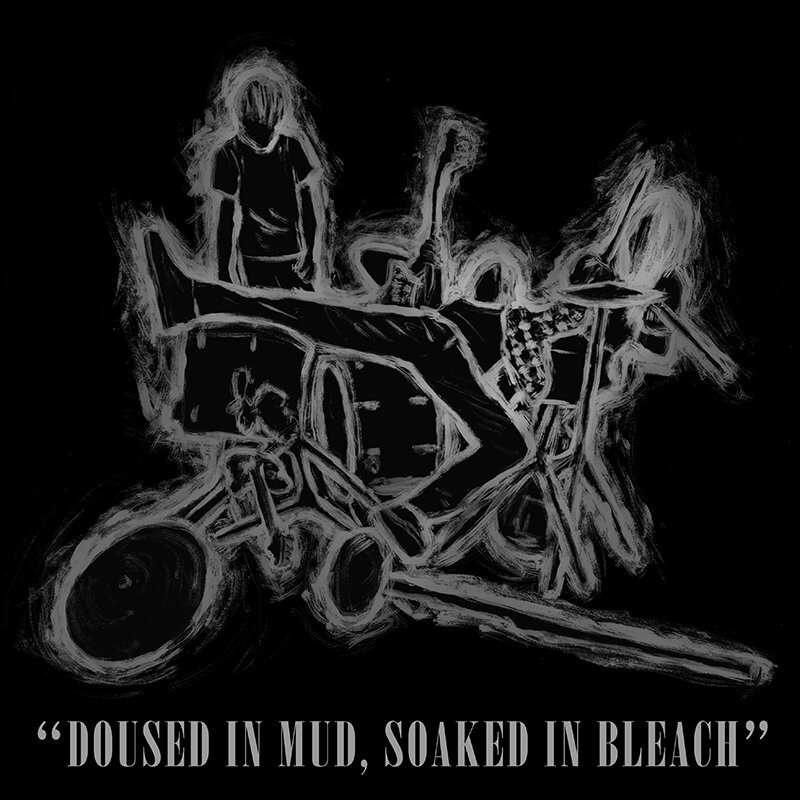 Robotic Empire returns with their third NIRVANA tribute, "Doused In Mud, Soaked In Bleach", completing a trifecta of homages to the legendary band's studio albums. The Hall of Famer's debut LP "Bleach" is covered in full, start to finish, by a diverse range of independent artists including BASEMENT, BEACH SLANG, BIG HUSH, CIRCA SURVIVE, DAUGHTERS, DEFEATER, THE FALL OF TROY, MEAN JEANS, ROB CROW'S GLOOMY PLACE, THE SADDEST LANDSCAPE, THIS WILL DESTROY YOU, THOU and YOUNG WIDOWS. Appropriately reflecting NIRVANA's rawest studio album alongside a full-circle nod to Robotic Empire's roots, this is arguably the darkest, heaviest release in the tribute series. A tasteful re-envision of these classic songs sees all 13 "Bleach" tracks run through the bands' creative engines, putting an intense new perspective on these 25+ year old songs. Robotic Empire is back at it again with the Nirvana jams! The label has announced their third Nirvana tribute LP to be released on Record Store Day,Doused In Mud, Soaked In Bleach, featuring Circa Survive's new cover of "Love Buzz." Was it difficult to create a cover of a cover? Ekstrom: No. It’s hard to explain but in my mind "Love Buzz" is a Nirvana song. It’s one of the first songs that I obsessed over when I was 14 years old and was learning to play guitar. At the time, I thought Nirvana wrote it. It just fit so well with the rest of the record. Their energy was so special that they could make any song they played sound like it was theirs. To me, “Man Who Sold The World” and “Where Did You Sleep Last Night” became Nirvana songs because they were the versions that were driven into my brain over and over as a teenager. I didn’t need to listen to the originals when the band who was making me believe in music had their own amazing version for me to listen to. With the variety of tracks on "Bleach", what made you choose to record "Love Buzz"? Green: “Love Buzz” might have been the first Nirvana song I ever heard. It's simple but hits so hard. I remember listening to it and feeling like "I could do this" because of how accessible it felt. How did Jon Simmons of Balance and Composure come into the picture as a collaborating artist? 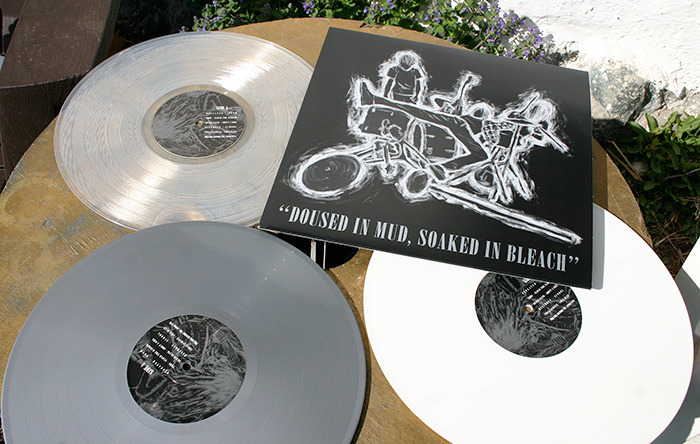 Like both previous tribute LPs Robotic Empire has issued (2015's "Whatever Nevermind" and 2014's "In Utero: In Tribute"), the vinyl edition of "Doused In Mud, Soaked In Bleach" is being released in conjunction with Record Store Day, occurring Saturday, April 16 this year. The album also will be released digitally across all major platforms, with iTunesand Bandcamp preorders live now, including an immediate download of the Circa Survive track with all preorderers. Thou - "Floyd the Barber"
Beach Slang - "About a Girl"
Circa Survive - "Love Buzz"
This Will Destroy You - "Paper Cuts"
Young Widows - "Negative Creep"
Rob Crow's Gloomy Place - "Swap Meet"
The Fall of Troy - "Mr. Moustache"
The Saddest Landscape - "Downer"
i'm really happy with this. i thought they wouldve done School because thats the only Bleach cover they did at hoodwink back in 2010.
but im glad they completed the circle with these Nirvana tribute albums. also glad that the Circa track is the preview. didnt have to wait a month. great great surprise. i think they did a really good job. instrumentation is all on.